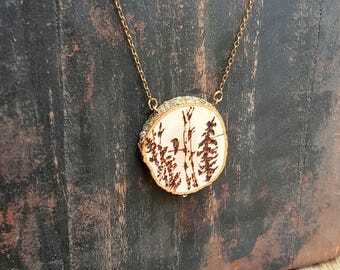 Spring Pussywillow branches pendant necklace! 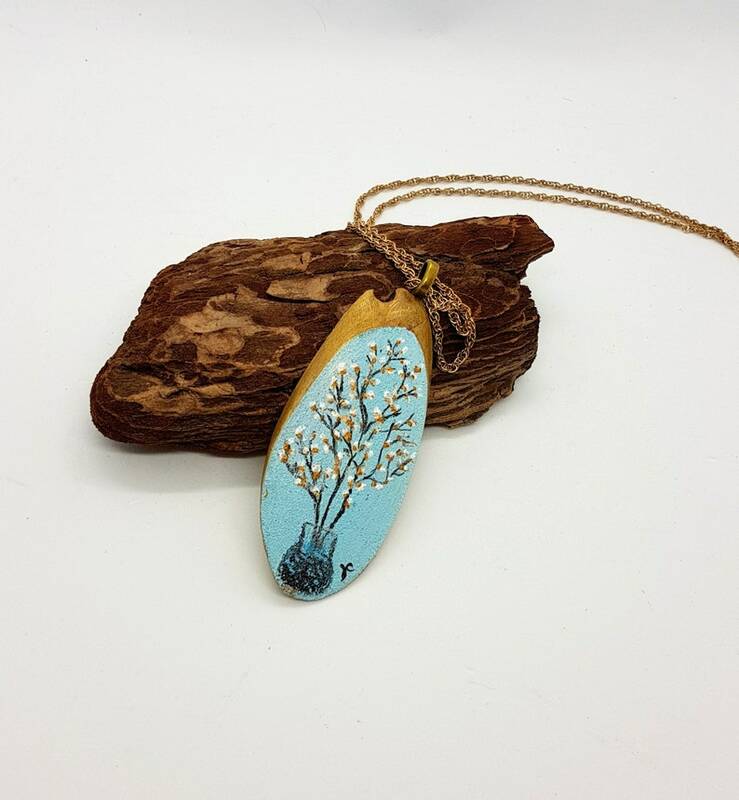 This live edge birch wood pendant has been hand painted by Jen Curtis. 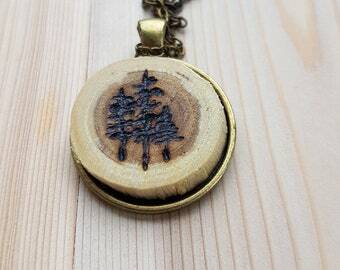 Ready to ship, this One of a Kind necklace is a unique and special gift idea for an nature lover! You will receive the exact necklace shown in the first few photos! Please note that the other photos are of different pendants also available in my shop. Romantic and pretty this image shows a lovely vase holding pussywillow branches. 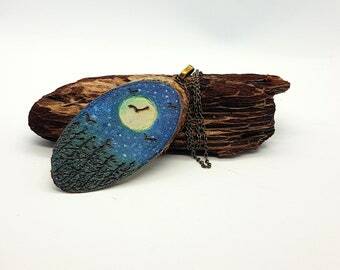 Shades of blue background with gold and white pussywillows and black branches!The outer live edge part of the pendant has been painted in gold. Please note that there is a knot hole in the wood as shown in the photos. Buyer should be aware that this is part of the design and is sold "as is" thank you! This necklace was completely sealed with a light glossy finish to add durability and sparkle. I have used a 28 inch (71 cm) vintage gold metal chain but you will have the choice of a brass chain in your choice of length if you prefer. 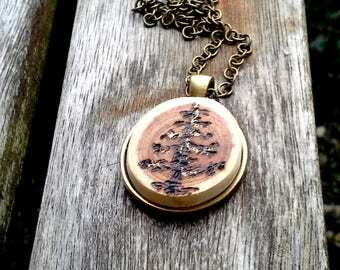 The pendant is 1.5 x 3.5 inches (4 x 9 cm). 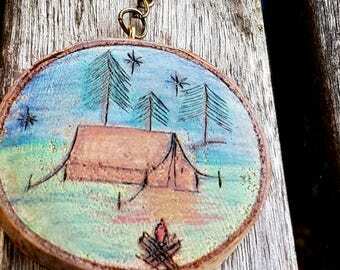 Special note: These necklaces are made from wood and natural materials and should not be exposed to water, please remove for bathing and protect from rain! International buyers, please contact me for a shipping quote to your area...thank you! I ordered these bookmarks as a gift for my boyfriend's parents who I know appreciate art. I loved both designs so much that I ordered both, thinking that we would pick one of each for his parents and each keep one ourselves (which was good thinking on my part - my boyfriend adored them). I was absolutely *delighted* to discover that an additional one had been included! Thank you so very much - they will be well-loved and well-used! I absolutely love this necklace and it is so well crafted, really a very unique piece. I bought it because it looks a lot like a very old oak tree on my property and the Eagle in the tree could very well be a hawk that frequently sits in my tree. I for sure will enjoying wearing this necklace very much. 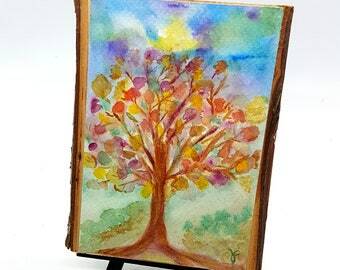 This item is so beautiful and made a perfect gift! It arrived in a timely fashion and it is perfect.